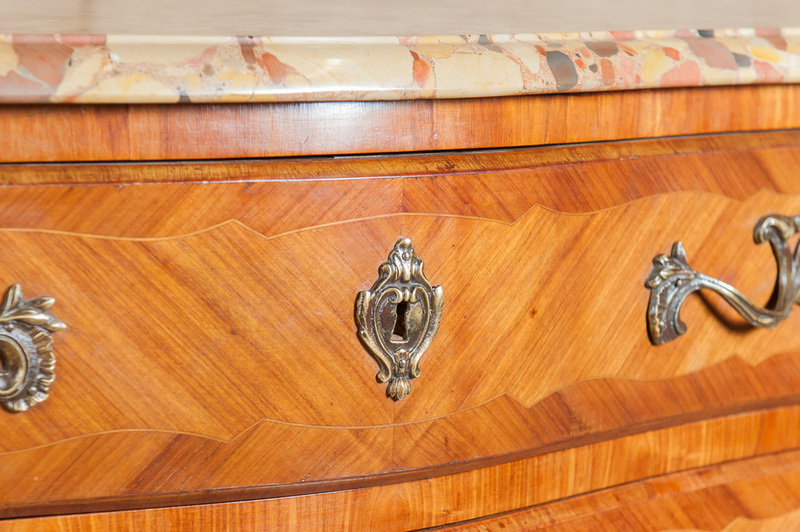 Antique French Louis XV style commode. Circa 1890's. 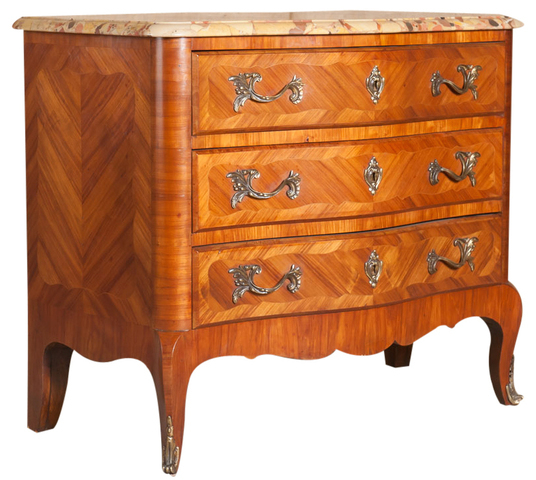 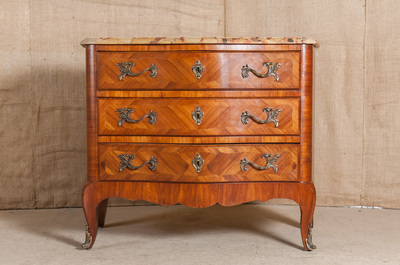 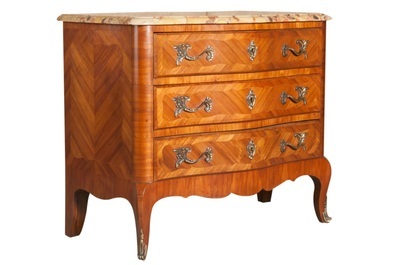 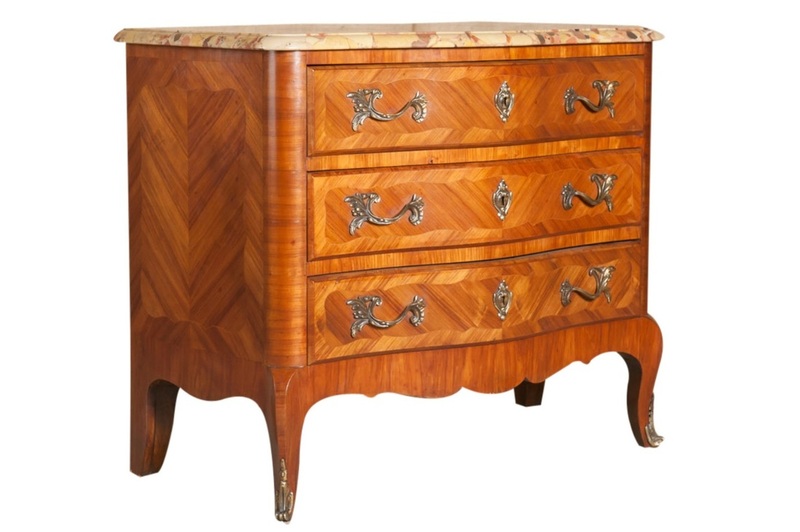 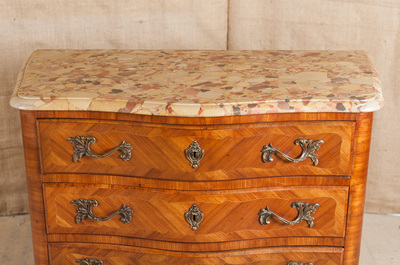 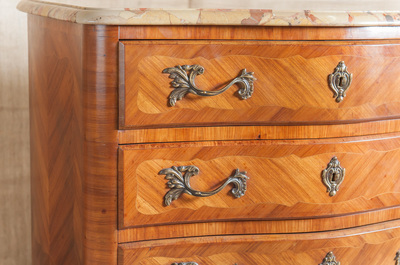 Fruitwood with parquetry inlays both on the front drawers and sides. 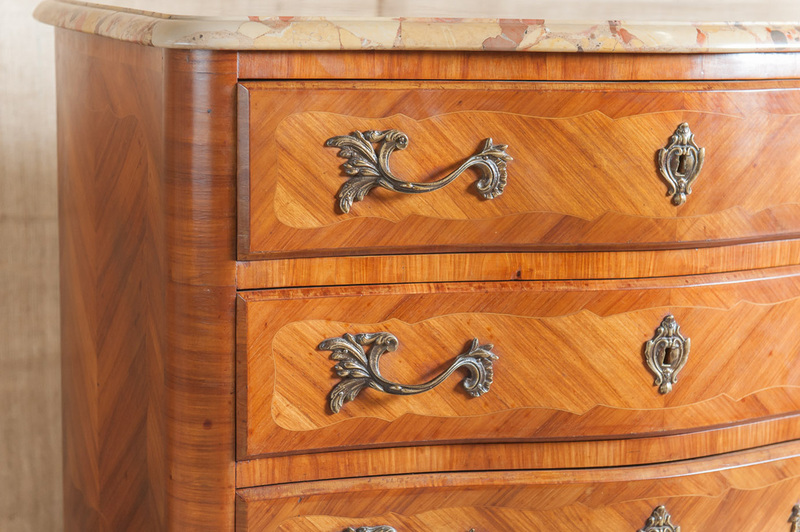 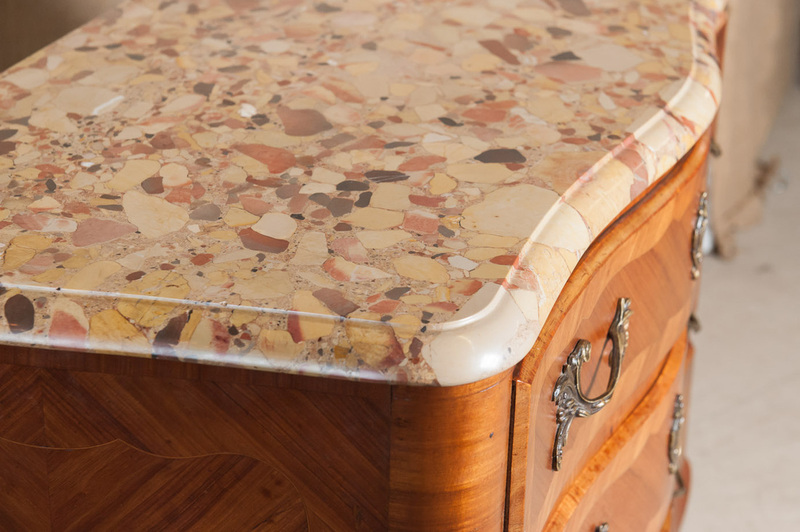 The breche d'alep marble top overhangs three serpentine drawers with original bronze hardware. 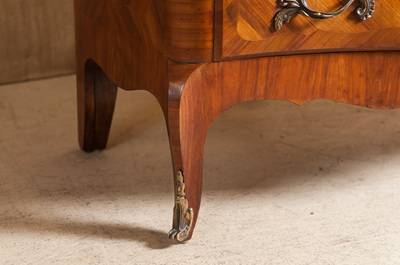 Raised on short cabriole legs ending in bronze sabots.